Synthesis of the bicyclic spiro compound 2-oxa-6-azaspiro[3.3]heptane is presented. which this compound is often isolated as an oxalate salt, its isolation as a sulfonic acid salt yields a more stable and more soluble product. With these improved properties access to a wider range of reaction conditions with the spirobicyclic 2-oxa-6-azaspiro[3.3]heptane has been enabled. 1,3-Dipolar cycloaddition of benzylidenecyclopropane with various aldonitrones proceeds regioselectively giving good yields of 4-spirocyclopropane isoxazolidines. In the case of aldonitrones, bearing carbamoyl- or aryl-groups on the carbon atom, only the cis-isomer is formed. The compounds synthesized were tested for their virus-inhibiting activity. 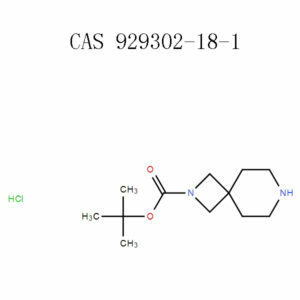 Oxa-6-azaspiro[3.3]heptaneis a useful synthetic intermediate in the preparation of epidermal growth factors, and it is insoluble in water. w Causes serious eye irritation. w May cause respiratory irritation. w IF ON SKIN: Wash with plenty of soap and water. w IF IN EYES: Rinse cautiously with water for several minutes. Remove contact lenses, if present and easy to do. Continue rinsing. w IF INHALED: Remove to fresh air and keep at rest in a position comfortable for breathing. w IF SWALLOWED: Call a POISON CENTER or doctor/physician if you feel unwell. w Call a POISON CENTER or doctor/physician if you feel unwell. Specific treatment (see relevant procedures. on this label). w If skin irritation occurs: Get medical advice/ attention. w If eye irritation persists: Get medical advice/attention. w Remove victim to fresh air and keep at rest in a position comfortable for breathing. w Take off contaminated clothing and wash before reuse. w Store in a well-ventilated place. w Dispose of contents/container to in accordance with local regulation . Could you be looking for a chemical synthesizing company? At Apicmo, we synthesize and produce chemicals using the latest technology and high-class knowledge to ensure that what you want is what you get. 2-Oxa-6-azaspiro[3.3]heptanes is among the products that we are proud of as it has been manufactured to meet the requirements of the CGMP manufacturing regulations and their quality control system. To synthesize this product, the process starts with the isolation of an oxalate salt which is isolated as a sulfonic acid salt, yielding a more stable and soluble product. 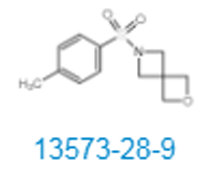 These properties allow for a wide range of reactions with 2-oxa-6-azaspiro [3.3]heptanes. 1,3-Dipolar cycloaddition of benzylidenecyclopropane with several aldonitrones continues regioselectively providing high yields of 4-spirocyclopropane isoxazolidines. In the case of aldonitrones, bearing carbamoyl- or aryl-groups on the carbon atom, only the cis-isomer is formed. The compounds synthesized were tested for their virus-inhibiting activity. 2-oxa-6-azaspiro [3.3] heptanes is available in APICMO contract, and therefore you can make an order by contacting our customer service. 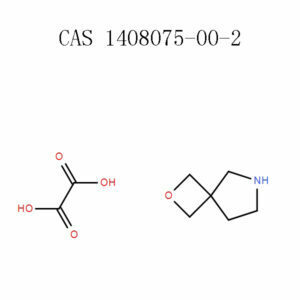 This chemical is useful in the preparation of epidermal growth factors. This product is used in the preparation of epidermal growth factors. Always ensure that you have put on appropriate protective gears before handling this product. These include heavy gloves, a high-tech face mask equipped with an air purifier, protective glasses, and proper footwear. This will ensure that the chemical does not get to your eyes, mouth and that you do not inhale it accidentally. The laboratory should be well-equipped with emergency safety measures. It should be well ventilated, equipped with a fire extinguisher, safety showers, taps with running water and air cleaning devices. The victim should be taken to an open or well-ventilated area to get enough fresh air. If s/he is having breathing problems, administer artificial oxygen and if this fails, get medical assistance. Do not hesitate to rush to the tap and thoroughly rinse your eyes with clean water for about 15 minutes. If you have lenses on, ensure to remove them first for easier rinsing. Seek medical attention for further assurance. Rinse the affected area with clean water and a non-abrasive soap immediately for about ten to 1 minutes. If the clothes contact spillage too, remove them and put on clean clothes. This product can be poisonous once it gets in the body system. You should, therefore, take immediate actions to avoid that the moment you accidentally get it in your mouth. Rinse your mouth thoroughly before taking half-liter of clean water. Note that you should not induce vomiting. The product is highly flammable, and you should, therefore, keep it away from any conditions that could lead to ignition. Store it in a ventilated area place ensuring that the container is tightly closed. The product should be kept in a cool, dry place and always use its original container for storage. Lock it in a safe place away from any unauthorized access. Put on protective gears such as gloves, masks, and glasses to prevent the chemical from getting into your eyes, skin or the respiratory tract. Regardless of how cautious you are when working with this product, accidents may occur. How do you deal with that? In the event of fire outbreak, ensure that you have protective clothes on and safety equipment to help you put off the fire. You can use spray water, foam or dry powder. Avoid using products that could accelerate the fire. Use absorbent material to wipe the area before tossing it in a waste container. Do not forget to ventilate the area to get rid of the affected air. Use a vapor suppressor to minimize the vapors before washing the area with lots of water. This chemical is very stable but only if handled under the ideal pressure and temperature. Avoid exposing it to strong acids and oxidizing agents to avoid decomposition. You should treat this product as a special waste which you have to dispose accordingly ensuring that it does not and on the hands of unauthorized persons. Being a stable product, 2-oxa-6-azaspiro[3.3]heptanes is not dangerous and can be transported in bulks. Always observe the local, federal and international rules and regulations in all stages when dealing with 2-oxa-6-azaspiro[3.3]heptanes. Our technicians are experienced and versed with knowledge of chemical synthesis, life science, material science, and chemical analysis. This product is primarily meant for research, manufacturing and chemical development. If you need the chemical product for any of these reasons, do not hesitate to make an order from us and we will be glad to serve you. Jochen Kuhlmann, A. Dalhoff, H.-J. Zeiler, Springer Science & Business Media, Quinolone Antibacterials, page 390-395. 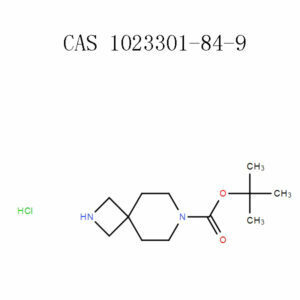 Patrick Bultinck, Hans De Winter, Wilfried Langenaeker, Jan P. Tollenare, CRC Press, Computational Medicinal Chemistry for Drug Discovery, page 1006-1010. 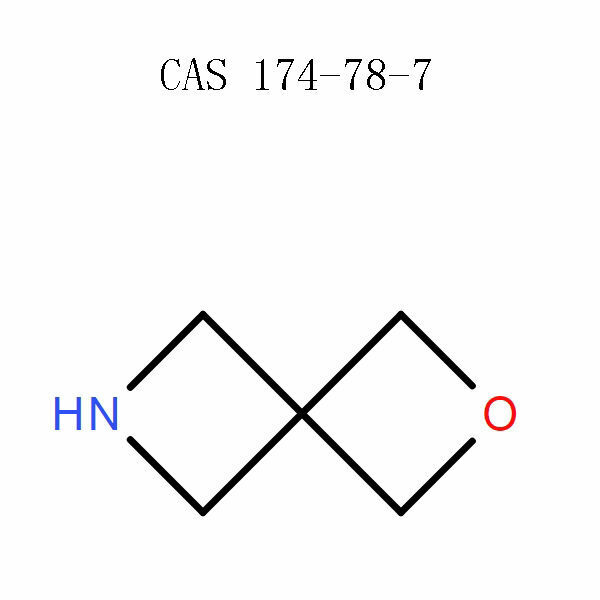 Jie Jack Li, John Wiley & Sons, 2004, Name Reactions in Heterocyclic Chemistry, page 500-5007.